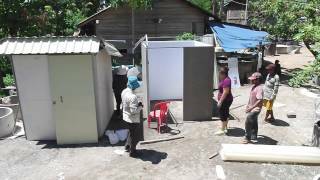 When WaterSHED set out to build the rural market for water, sanitation, and hygiene in Cambodia, our aim was to facilitate a market that would function independent of aid. Demand generation was a critical factor in the success of the market but hiring an in-house sales team would have created the very dependency we wanted to avoid. Instead, we looked to leverage an existing mechanism that would be continuously involved in behavior change promotion. In 2013, we piloted an experimental leadership development project – Civic Champions. The goal of this program was to engage local elected officials to act as change agents in the drive towards universal sanitation. 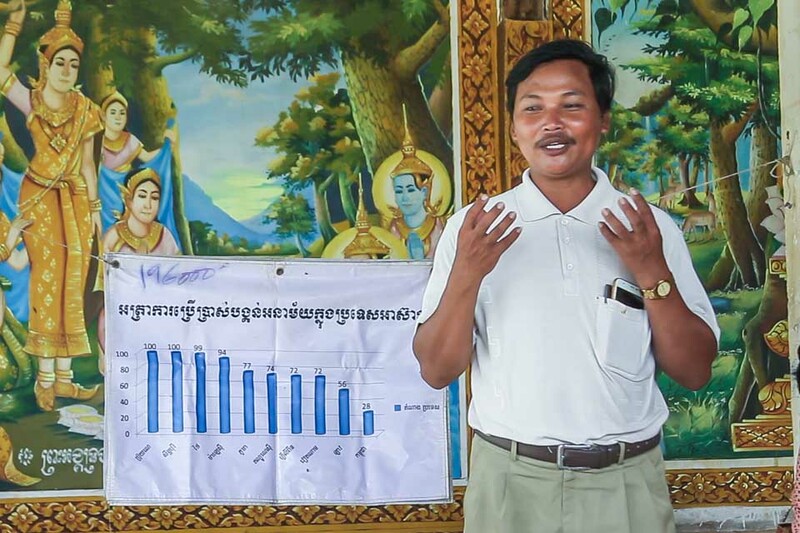 During the pilot and subsequent scale-up, program participants increased sanitation coverage in their communes by an average 6.9 percentage points. What was even more exciting – with the scale up of Civic Champions, 94 percent of toilets sold in our program areas were done so independent of WaterSHED facilitators. From the very beginning, WaterSHED saw the value in engaging local leaders. But one man helped validate our hypothesis that strong local leadership is critical for an independent WASH market to thrive. Shortly after putting his attention on sanitation, he led his village to become open defecation free. “In just four months, every single family in Mr. Chhoeun’s village had access to a toilet,” explained Mai Sieng, WaterSHED’s Deputy Executive Director. We were determined to replicate Mr. Chhoeun’s success. We started small, recruiting commune councilors from two districts in Mr. Chhoeun’s home province of Kampong Speu to take part in a pilot program that would foster their leadership skills over a series of workshops and put those skills to the test in the sanitation space. Mr. Chhoeun became one of the first program facilitators and was encouraged to share his experience. Thus, Civic Champions was born. Since the pilot, Civic Champions was scaled across eight provinces with hundreds of local elected officials volunteering and paying to participate. With their leadership, more than 27,000 households have adopted a toilet, driving sanitation coverage up by an average 6.9 percentage points in participating districts compared to the national average of four. Today, Mr. Chhoeun has been promoted to the commune level and continues to push for safe sanitation across villages under his commune. He is just as determined as he was when he first started as a village chief. “To be a Civic Champion you have to have commitment, be willing to dedicate your time, and clearly understand your community’s values,” Mr. Chhoeun advised his fellow councilors.